Seriously, when I turned on the TV yesterday and CSI wasn’t on, I was upset. 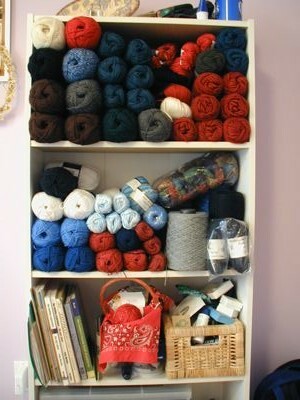 First up, a shot of my newly organized yarn/knitting bookshelf. 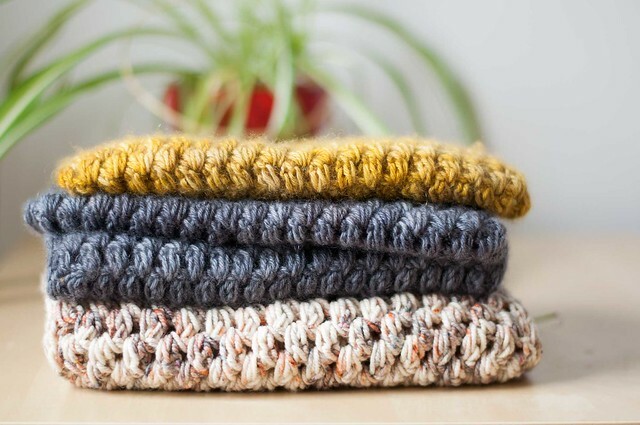 I’m excited about it – there was a sample knit up at the show that convinced me to get the kit. Overall the show was fun, there was lots of see and buy, but I didn’t fall off the wagon – that Noro was all I bought. I think I was rather overwhelmed by it all. 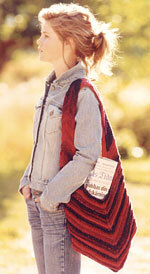 I did get lots of great comments on my Mango Moon silk poncho, though! It was awesome to take SnB on the road. 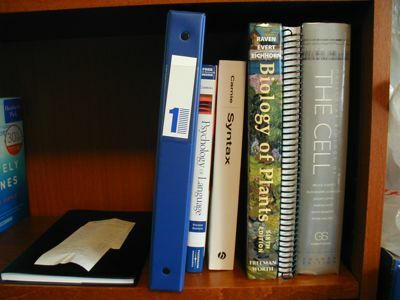 And these are only the books for this term – next term I’ll have to buy another two at least (most likely three because I’m going to try and pick up another half course). Argh. 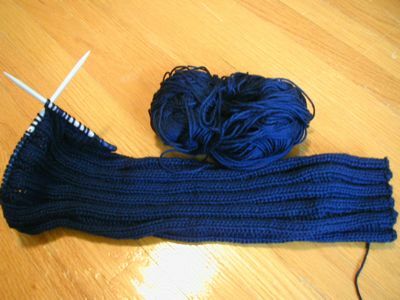 Off to prepare for my lab tomorrow – then knit for the rest of the night.